Jonathan Demme is the only person I have ever known who could decline an invitation you made in such a way that you still experienced the joy of his presence, even in his absence. Jonathan enthusiastically agreed to serve as a filmmaker-mentor during my tenure as the executive director of the Film Society of Lincoln Center. He would pass on red carpet walks and skip the fancy gala dinners. Instead, he would slip in quietly to a theater to see the new film by an unknown filmmaker, and afterwards, enthusiastically share his excitement about the discovery. 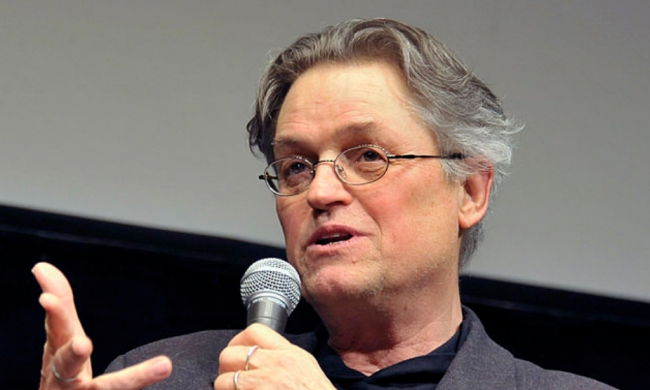 Many will write about his accomplishments as a distinguished filmmaker of Oscar-winning films like Silence of the Lambs, Beloved, and Philadelphia, and my personal favorite, Stop Making Sense, the music documentary about the Talking Heads. I remember him as an artist who brought a holistic approach to sharing his creative gift with others. He engaged with anyone who had a passion for film, art or music—young and old, neophyte and jaded veteran. All held his rapt attention, experienced his endless patience for listening deeply, and benefited from his wisdom and random acts of kindness. His brought a kinder and gentler sensibility to the world he occupied. Sometimes, he would write a note to point out an omission when he noticed an artist had been overlooked, or to suggest something he had seen. He loved to lend support to new work and emerging filmmakers. And he was always, always willing to devote time to mentoring and helping young talent. He will be remembered mostly for his many achievements as a film director, but I am sure he would feel no slight to be remembered as simply a great human being. So in afterlife, as in his life, Jonathan will make us feel his presence, even in his absence. And his presence and influence was, fortunately for all of us, everywhere. I first became aware of Demme when I saw Last Embrace on cable. I loved the stylistic flourishes of that film and noted the director’s name. I decided that I wanted to see more from this auteur. I was filled with joy and awe when I saw Something Wild at the theater. When The Silence of the Lambs came around, it cemented my faith in Mr. Demme. I was shocked when I read of his untimely demise, but am thankful for all the great films that he gave us. A luta continua. Gorgeous and so very true.